This double storey luxury home was built on an undeveloped island of land circled by roads, a freeway, and with considerable terrain and drainage challenges. 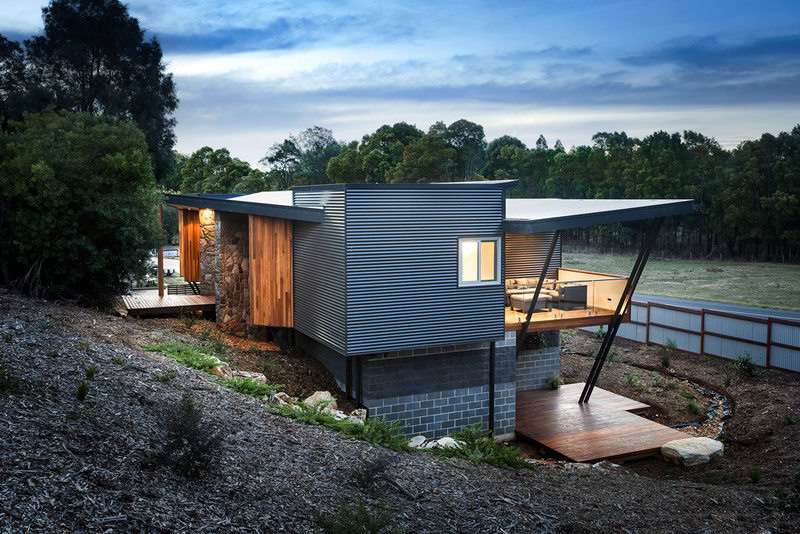 Our brief was to create a generous and environmentally green family home. Our design solution was a home with thermal mass, insulation, cross ventilation, double glazed windows throughout, and solar access to reduce the need for additional heating and cooling, and to make the home comfortable through all seasons. The five bedroom ecofriendly home features a clever bathroom design that allows for multiple users simultaneously while maintaining privacy, a study, rumpus room, and cellar. The first floor has a hydronic heated and suspended polished concrete floor that is cantilevered over the partially underground garage entrance. The top ‘living’ level connects with a decked bridge to the street on the south side of the home, enabling access for all abilities and stages of life. Bright and spacious interiors enjoy excellent views across the landscape. Considered design has minimised the impact of nearby roads and ensured a quieter and more private rural character to the home. Openings have been strategically placed to catch prevailing winds to ensure fresh air through the house and cooling on summer evenings. Expansive independent and shared living and sleeping zones allow for communal family living and separate retreats. 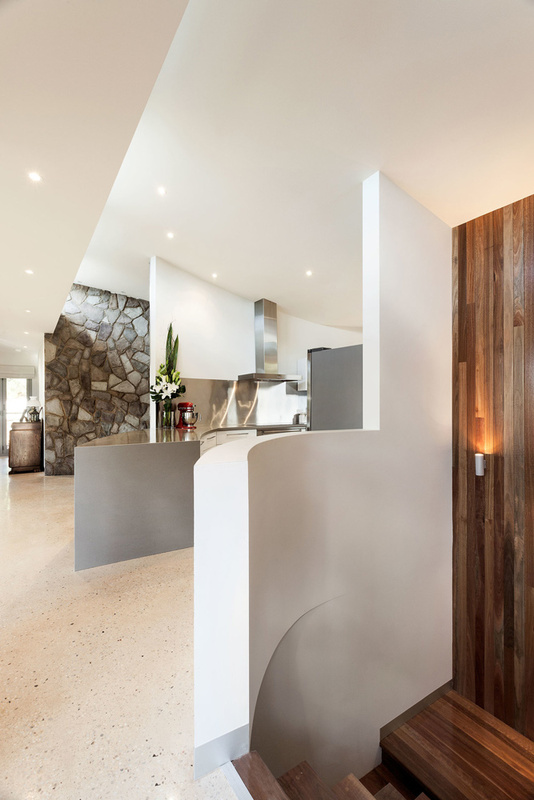 The design has created a healthy, luxury ecofriendly home for a large growing family.